Most homes in the Midwest have the Arts and Crafts style. Bungalow or what they call as Craftsman houses continue to be popular in these states. These houses are characterized by quality construction. Details are simple yet handsome and are mostly made of wood. This is the reason why for many years, mahogany doors with leaded glass are still popular in this areas. Leaded glass doors are those where glass assemblies are held in place with cames made of copper, lead, or zinc. It is often used interchangeably with stained glass because of similarities in its construction and maintenance. Stained glass is that which is colored, tinted or painted. While stained glass is often found inside churches and old buildings, its application has extended to residences as well. Small designs can be found in the glass doors or in some small windows. The versatility of glass is best shown in leaded glass doors. It provides illumination in the room or house because it allows natural light to pass through it, while it gives the owner some privacy when it is colored or stained. The prying eyes of a neighbor are drawn to the design or pattern instead of the interior of the house. While glass does not deteriorate by itself, it can still be destroyed by scratching and breaking. Avoid scratching the surface. It is important to regularly clean the glass door. Dirt and grime build up can affect the beauty of the design, as thicker dirt is more difficult to remove and can mess with the paint used. Check if the glass used is triple-insulated. This means that the glass is energy efficient and completely sealed. This can save you a lot in your heating bills, as there are no air leaks. These are the reasons why leaded glass doors are popular in Minnesota. If you live in this area, check your local hardware store or surf the net for deals on this product. Whether you want swinging, hinged or sliding doors, there are many designs that you can choose from. Some manufacturers can create designs for glass panels that will match with your existing door, so there is no need to buy a new door altogether. They also give free estimates as to how much you can actually spend. 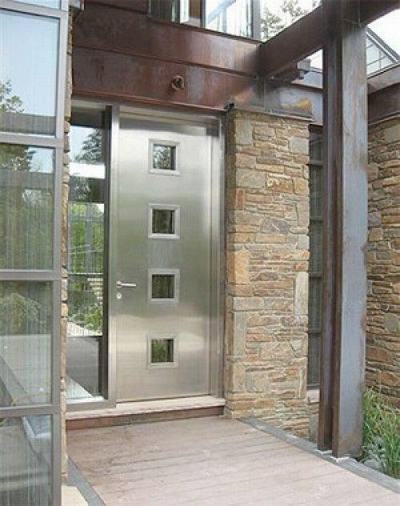 A beautiful, durable door, while it may be expensive at first, is a good investment in the long run.